It is fascinating how a play can become so familiar one can forget where it came from. 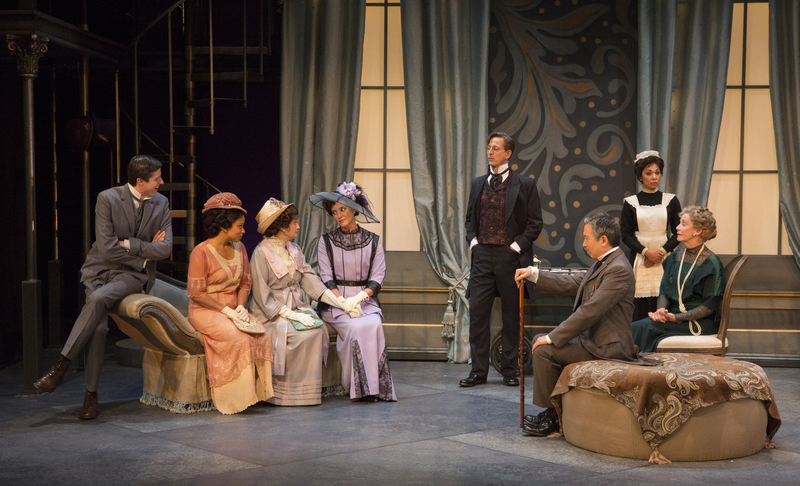 Certainly, everyone knows that they know George Bernard Shaw’s “Pygmalion,” but mostly because most have seen “My Fair Lady,” the highly romanticized musical (later film) based on the play. Yet, the original play was not about romance, but about societal equality and intellectual independence. 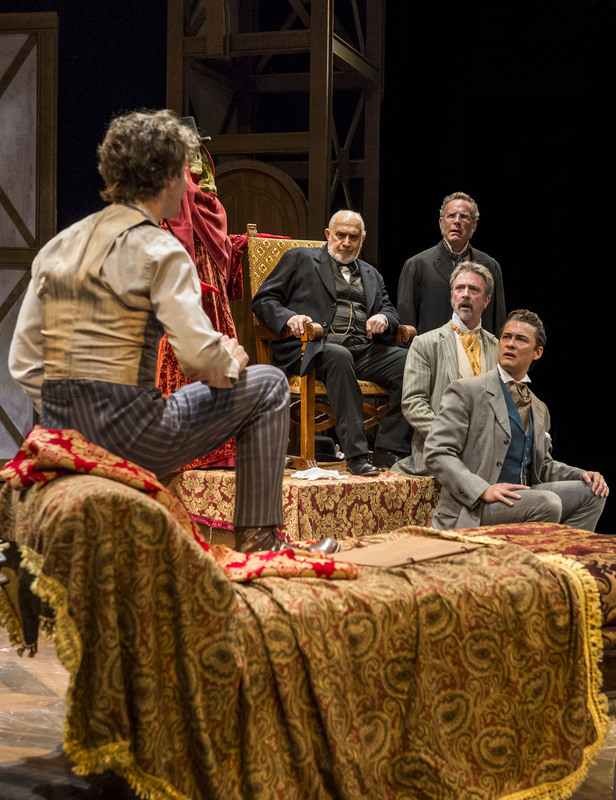 Now, at the Pasadena Playhouse, one can experience a profound and polished production of Shaw’s original play, as originally written. For those sure they are familiar with the piece, this can prove revelatory. Of course the play – whose name comes from the Greek myth of a sculptor who falls in love with his own creation – has a general plot which needs little explanation. The obnoxiously spoiled, and rather childish linguistics expert Henry Higgins, aided by the somewhat fusty Col. Pickering, takes on the task of transforming one Eliza Doolittle, a cockney street vendor, into a young lady who can pass as a duchess at a society event. What he doesn’t count on is Eliza’s intellect and free will, and her determination not to be seen as an object. In the end, the play becomes a condemnation of the image of women in late Victorian society – one which resonates remarkably clearly into the 21st Century. Director Jessica Kubzansky has chosen to go back to the original script, leaving off later additions of embassy balls and semi-romantic returns. This is, frankly, extremely satisfying, as I have personally rebelled against the ending given in “My Fair Lady” since I first saw it on stage as a pre-teen. Shaw’s best works are often intellectual discussions with a plot, and here the complex and immensely satisfying battle of wits between Eliza and Higgins gets to stand on its own, making the point Shaw was actually out to make. That makes the play important again. Paige Lindsey White makes a convincing Eliza. Her body language changes subtly as she matures, and her beauty proves equally subtle: a sharpness softened by care and carriage. This makes the transformation particularly satisfying, and (despite an English professor long ago who claimed it impossible) quite convincing. Bruce Turk makes Higgins both articulately intellectual and ridiculously childish – more a brat than a hermit. It works wonderfully well, adding a layer of comedy a more grounded character could not. Stan Egi gives Col. Pickering a decidedly unaware feel, as if he exists mostly on manners rather than intellectual rigor. All three give a lovely balance to the entire production. Also worthy of high praise are Ellen Crawford, far less shockable and far more fatalistically practical than usual as Higgins’ housekeeper. Time Winters makes Eliza’s father less goofy and far more disturbed by his change of fortunes, and it works. Most particularly, Mary Anne McGarry gives an aura of wisdom and worry – the articulate view of a woman with a deep understanding of the limitations of womanhood – as Higgins’ mother. Alex Knox and Carolyn Ratteray each have deeply comic moments as Freddy Eynsford-Hill and his sister Clara, while Lynn Milgrim, as their mother, becomes symbolic of the comparatively piteous condition of a poor and widowed society woman. Still, the unifying force and the significant vision are Kubzansky’s. She takes characters which can easily become prosy, and meshes them into an interesting blend of attitudes and desires one can truly connect with. Pacing and understanding flow easily – and that’s saying something when one speaks of Shavian works. Stephanie Kerley Schwartz has created an elemental set which moves swiftly from scene to scene, allowing the flow of what is essentially an episodic tale to become remarkably even. Leah Piehl’s costuming holds fairly true to the period, and provides subtle personality clues along the way. In short, this “Pygmalion” gets it right, start to finish. This play rarely has a chance to stand on its own, and project the message Shaw was trying to get across. This time, it does, and that is pure delight for anyone who loves a good intellectual argument.